Alaska’s does $1 billion dollars worth of trade with China every year — it’s the state’s largest trading partner. But, it took a lot of work to break into that market. One man, Yingdi Wang, has been at it for decades. When Alaska Gov. Bill Walker decided to take 50 people on a trade mission to China — the logistics were complicated. But, when the bulk of the delegation landed at the airport in Beijing on our first day, Yingdi Wang was waiting there. Wang is this small, impeccably dressed man. And he is really, really good at logistics. He’s a natural-born fixer. On this trip, that means a steady-stream of rapid Mandarin to the bus driver, to staff at the airport and hotels, answering questions, solving problems. Tracking down a tailor so half the delegation can get new suits. You know, herding cats and making sure people are getting where they need to go. Wang is up with the group first thing in the morning, out late. And on these long bus trips? He usually puts his sunglasses on, crosses his arms and takes a nap. 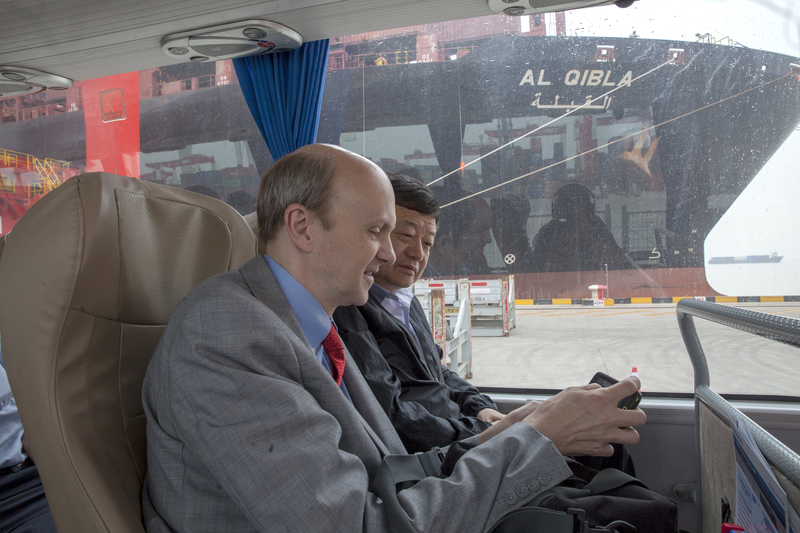 During a recent bus trip through in Shanghai, with about a dozen people who are interested in selling what Alaska has to offer into China — Wang sits in the front seat, watching the horizon. Wang is thinking about how much the city has changed since the first time he visited in 1991. “Well, there was no highway. There was no high-rises … like, this road we’re on? It’s just a big, big, big change,” Wang said. From that seat, nearly 30 skyscrapers are in view. “Hundreds, hundreds you know,” Wang said. It’s a sea of people. 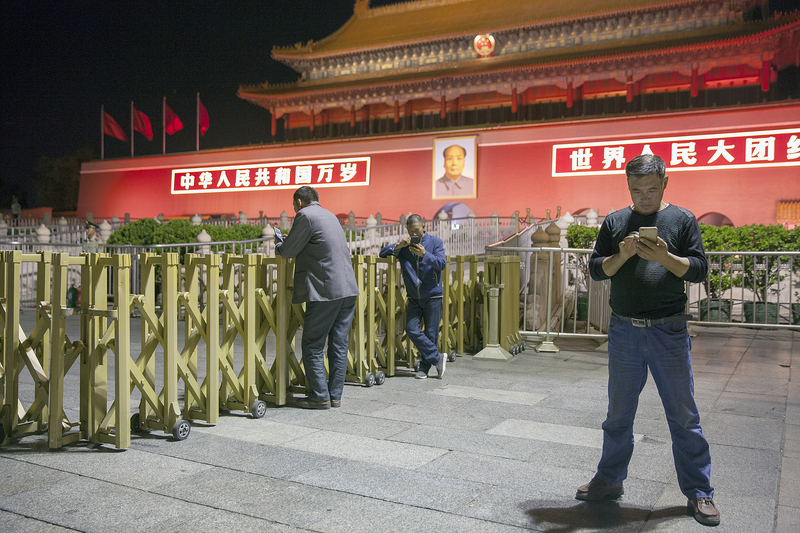 Wang was born in 1954 in Beijing — about 10 minutes from Tienanmen Square. It was a chaotic time. The cultural revolution started in 1966. China’s communist leader, Mao Zedong, shut down the nation’s schools for a time. Wang says his education just kind of stalled. When he was 16, Wang was sent to a work camp. He worked as a welder, a boiler-maker and in a big chemical factory outside of Beijing for about 15 years. By the early 1980s, Wang was 30 years old and he wanted more. He wanted to finish college. But, he said he wasn’t allowed to do that in China. So, he decided to come to America. But, it took awhile. A close friend, John Sturgeon, said that process was not even. Wang ended up in Alaska. Sturgeon — yes, that John Sturgeon — is something of a state’s rights celebrity in Alaska. He said he met Wang for the first time in Anchorage. Sturgeon said he liked Wang immediately. Before long, they were working together. First, in the timber industry at Koncor Forest Products, a company set up by four Alaska Native corporations. Wang’s first job was scanning log tags by hand before they were shipped off. Sometimes 20,000 thousand tags per ship. “Yingdi would come in after hours and scan those tags till, you know, late in the evening and sometimes early in the morning,” Sturgeon said. Sturgeon said watched Wang blossom from a new immigrant with terrible English skills into a savvy business person pretty quickly. With Wang’s help, Koncor Forest Products opened one of the first headquarters for an Alaska company — in China. Wang ran the company’s bureau from his apartment in Beijing. Sturgeon and Wang don’t work at Koncor together anymore, but they’ve started their own businesses together since then. In a country that values reputation, Sturgeon said Wang has built a good one. “Still to this day we don’t have to put down deposits to the factories when we buy something because they trusted Yingdi,” Sturgeon said. About 15 years ago, Wang took those private-sector skills into the public sector and started working for the state. When someone from the Governor’s office or the Department of Commerce wants to do business in China? They call Wang. “So, he is the ultimate fix it man for the state of Alaska,” Alaska Gasline Development Corporation Economic Adviser John Tichotsky said. Tichotsky said Wang is completely at ease negotiating with high-level government officials, then chatting casually with cab-drivers or negotiating in a market. “He’s like a genie in the bottle you get to tell them your wish, and everything from a suit to a meeting with a minister… he could probably pull it off,” Tichotsky said. And, Wang knows Alaska. Tichotsky said he has a talent for stepping in at these crucial points in meetings to make sure everyone is on the same page. “There are some real cultural specificities and Yingdi’s just good at pointing out to people what they should do — how they should react — without being condescending or making you feel like you’re awkward,” Tichotsky said. But, that’s all changing now. 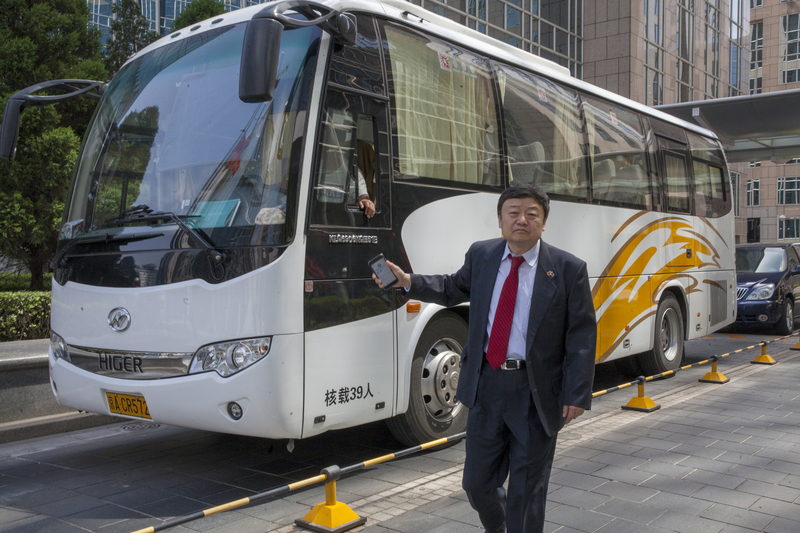 Back on that bus in Shanghai, Wang said he’s getting close to retirement age. He’s 64. This summer, he’s leaving behind that apartment in Beijing and settling in the U.S. for good.